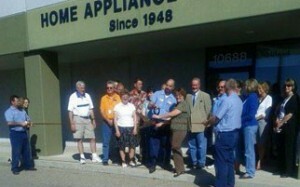 Since 1948, households and businesses in the Boise, Idaho area have counted on Home Appliance Service Inc. for fast, reliable appliance repair. As a family owned and operated business we are proud to offer exceptional repair and maintenance services throughout Idaho’s Treasure Valley. Our factory-authorized technicians perform warranty and out-of-warranty work on most major brands of appliances, including Whirlpool, Frigidaire, Electrolux, In-Sink-Erator, JennAir, KitchenAid, LG, Marvel, Maytag, Samsung, U-Line and Broan. Whether we come to you on a service call or you drop off your appliance at our shop, we take pride in being able to offer quality repair services at reasonable rates.